Anger is a normal emotion that everyone experiences from time to time. Let’s be honest, life can be pretty frustrating, and anger feels strong, often giving you the push to address the issue that triggered the feeling in the first place. However, if you’re angry all the time or can’t express your anger appropriately, your anger may end up having a negative impact on your life. However, your anger may also manifest in your mood and behavior. For example, you may become irritable and short-tempered and things that wouldn’t usually bother you may trigger your anger. You may also lash out verbally, yelling, calling names, or swearing. Anger can also make you reach for substances like cigarettes, alcohol, or other drugs. Anger becomes a problem when you can’t control it, and your behavior affects your relationships and ability to succeed at work or school. For example, any physical or verbal violence, directed toward yourself or another person is a sign of a problem. Physical violence is never acceptable behavior. Similarly, you may lash out verbally at your friends or family members, or you may be prone to sarcasm or passive aggressive comments. These verbal expressions of anger can make the people around you feel uncomfortable, and they may start to avoid your company. Anger is also a problem when it interferes with your ability to get along at work or school. While both work and education can be stressful and have frustrating moments that can make you angry, you must learn to express yourself in a controlled and constructive manner. You don’t have to like your workmates; you just have to get along so that you can get your work done well. 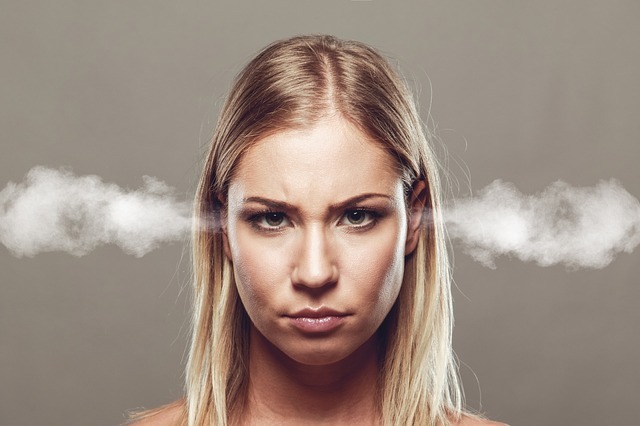 If you’re concerned about your ability to control your anger and recognize any of these behaviors in yourself, make an appointment with one of the therapists at North Brooklyn Therapy for anger management support. Anger management uses therapy to help you learn to control your anger. While your therapist tailors your sessions to meet your specific needs, in most cases, anger management often follows a similar process. First, you learn to identify your triggers as well as the early physical or emotional warning signs of anger. Then, you and your therapist work together to practice techniques to control the way you respond to your anger. For example, you may learn methods to calm down before returning to the situation, or you may practice non-aggressive communication techniques to express your anger. Your therapist may also work with you on problem-solving skills. Then, when you’re faced with a challenging situation, you can use those skills to resolve the situation instead of getting angry and letting your emotions get the best of you. Anger management can help you learn to use your frustration constructively. You can funnel your energy into more positive behaviors and get things done. You’ll also improve your communication skills and repair your relationships with your friends and family. If you’re concerned that anger is interfering with your life, contact North Brooklyn Therapy today to schedule an assessment.